It’s 10 o’clock on a cold Friday night in an industrial area of the Bronx, New York. A line of people gathers in front of an auto body shop, where a towering bouncer asks for tickets and lets in groups of three at a time to be screened and searched for weapons. Inside the body shop is an octagonal ring made of crowd control barricades and gym mats. Roughly 200 people have purchased tickets and try to claim a spot with an unobstructed view. The promoter refused to disclose ticket prices. 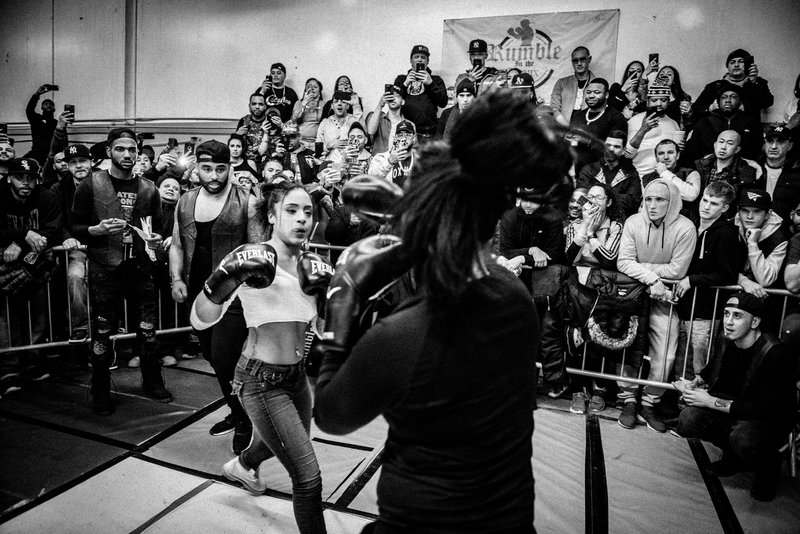 This is the fourth fight night of the Bronx’s newest underground fight club, Rumble in the Bronx. 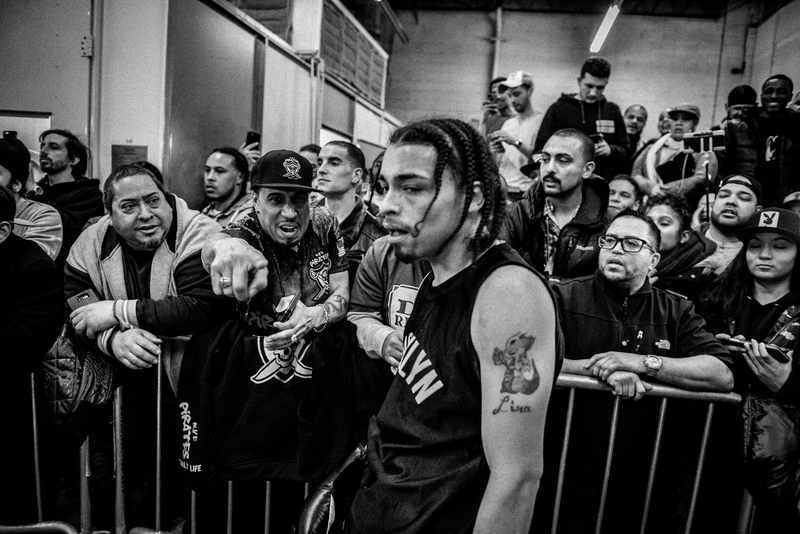 Each night has been held at a different location, and attendees learn the venue’s address only hours before the fights begin. The third fight night was held inside the trailer of an 18-wheeler and was limited to 60 spectators. So far, each night has had about 10 bouts. The rules are simple: No kicking, biting or shots below the belt. 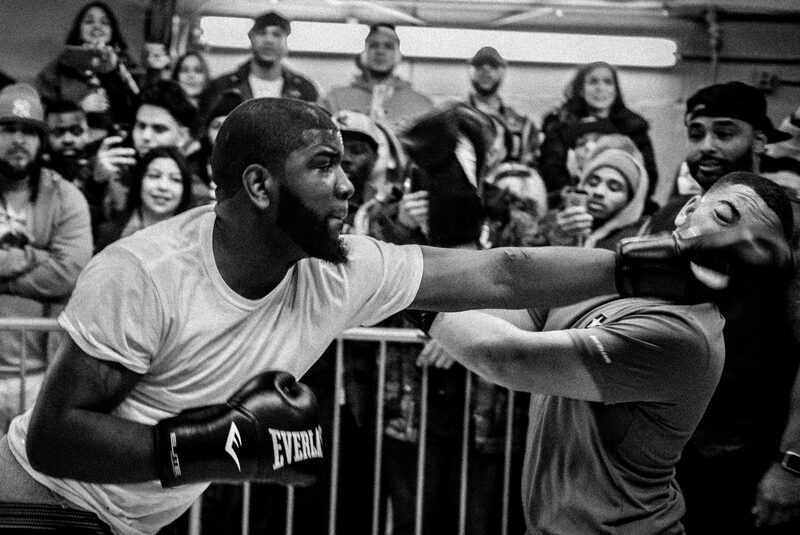 Sixteen-ounce gloves are provided, but fighters are allowed to bring their own. The fights last three three-minute rounds, and the winners are determined by cheers from the crowd. In the event of a draw, a fourth round is fought. A cut man, an off-duty emergency medical technician, monitors the safety of the fighters and tends to wounds. Under state law, anyone involved with an unlicensed boxing match can be charged with a misdemeanor. Everyone from the promoter to the card girls could be punished with up to a year in jail. 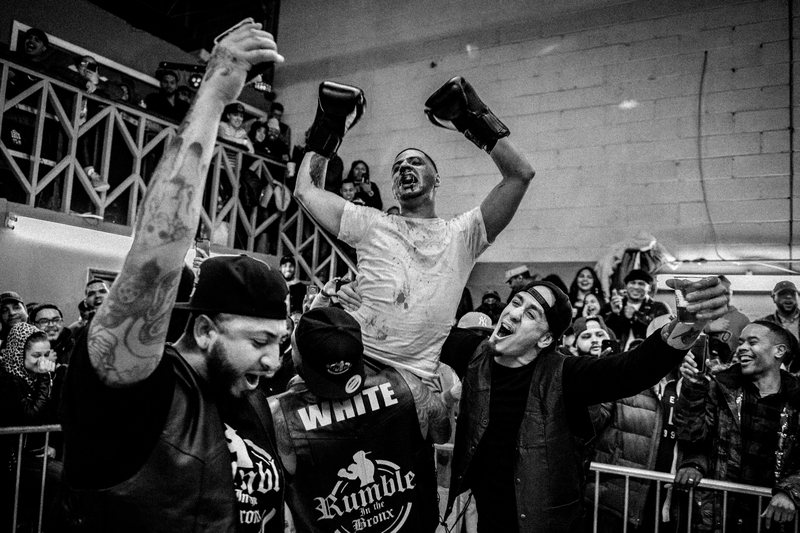 Killa Mike, the founder of Rumble in the Bronx, was once a fighter for another underground group called BX Fight Club. 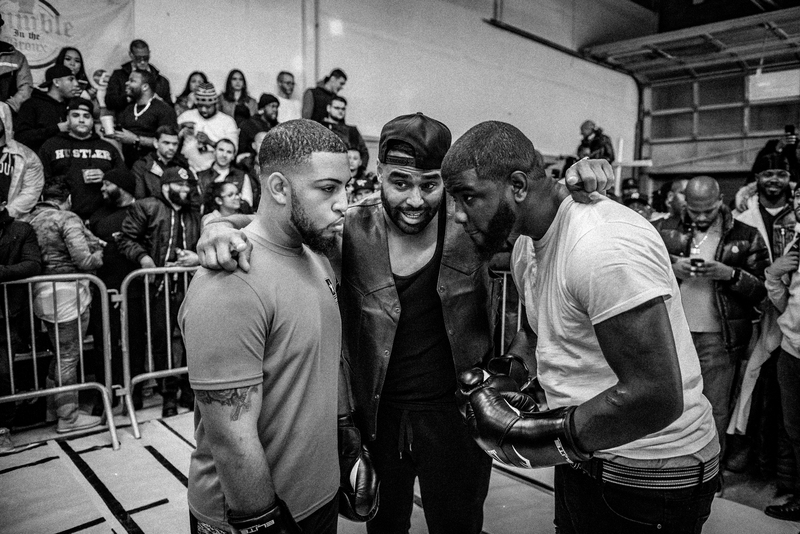 After BX stopped holding fights and he received the blessings of its founders, he created Rumble in the Bronx. Flipper (left) and CJ are the first to fight in the warriors-themed night of the fight club. After two rounds, Flipper was winded and could not continue. CJ took the win. The club is “a place to kill beef and release aggressions,” said Killa Mike. He attempts to arrange fights in which both parties have a dispute and can settle their differences before guns become a part of the equation — all while still being entertaining. Killa Mike is proud of an early match that involved an ex-husband and the new boyfriend. The two men’s problems had escalated to the point of death threats toward each other on social media. The two men walked out of the ring with a mutual respect, he says, and the threats and bickering have ceased. 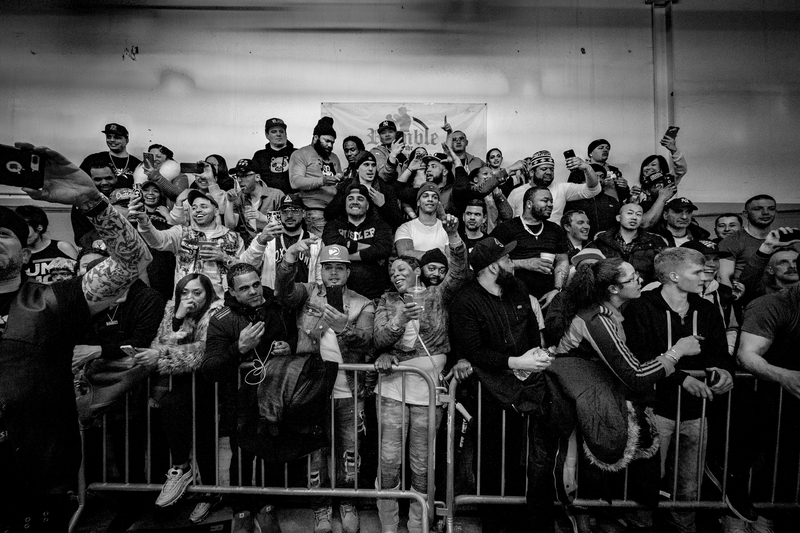 Crowds fill the stands awaiting the first fight of the night. CJ (left) and Flipper (right), with referee Frank White, are the first to fight in the warriors-themed night of the underground fight club. After two rounds, Flipper was winded and could not continue. CJ took the win. Flipper ducks a punch from CJ during their match. 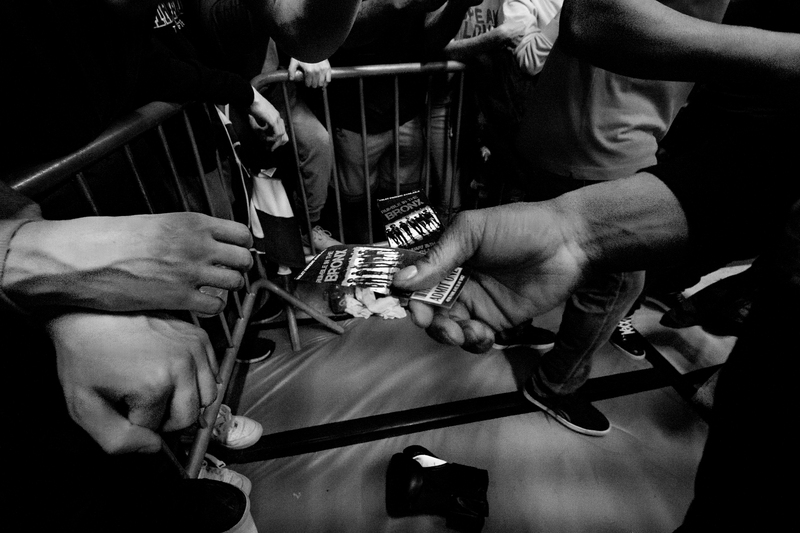 Counterfeit tickets were discovered during the fight night. Desmond begins to get winded after the first round. Card girl Kayla Basic entertains between rounds during the match between TyTy and Andre, the second fight of the night. Lulu (left) moves in to throw a punch against Ashley during a fight that wasn’t on the card but was instead the result of a callout by Ashley. This fight was to settle some differences between the two onetime friends over Ashley’s ex. 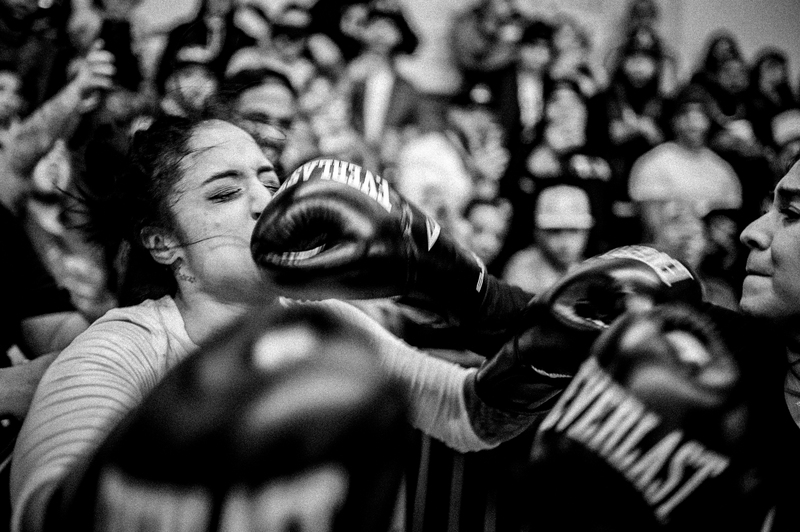 Lulu (left) takes a punch to the face from Ashley during a fight that wasn’t on the card but was the result of a callout by Ashley. This fight was to settle some differences between the two onetime friends over Ashley’s ex. Loso received a callout from Desmond between the second and third rounds. 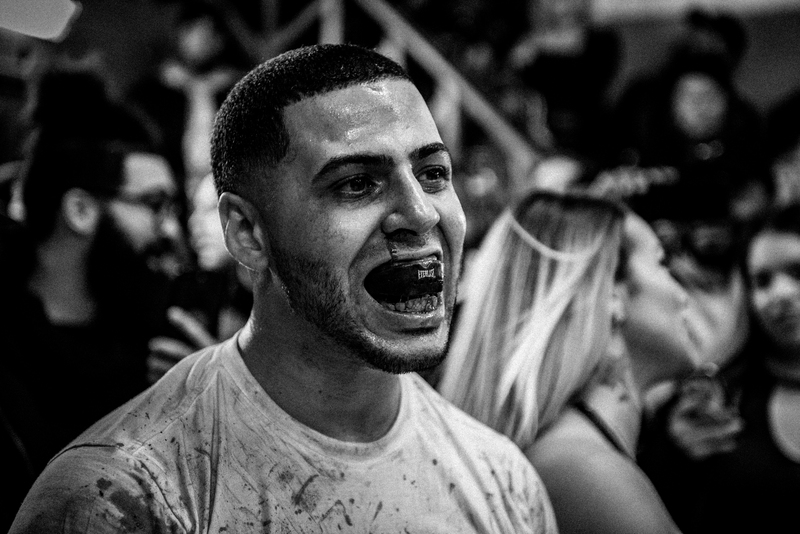 It looked as if Loso didn’t have enough to go back out and finish the fight. 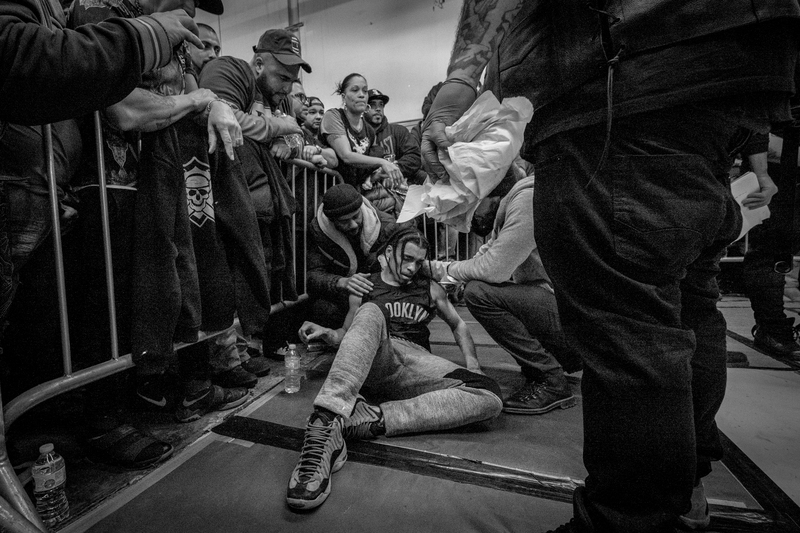 Desmond collapses on the floor after the breakup of a clinch during the third round, finding it difficult to breathe. Don (right) gets fighting instructions from a friend. 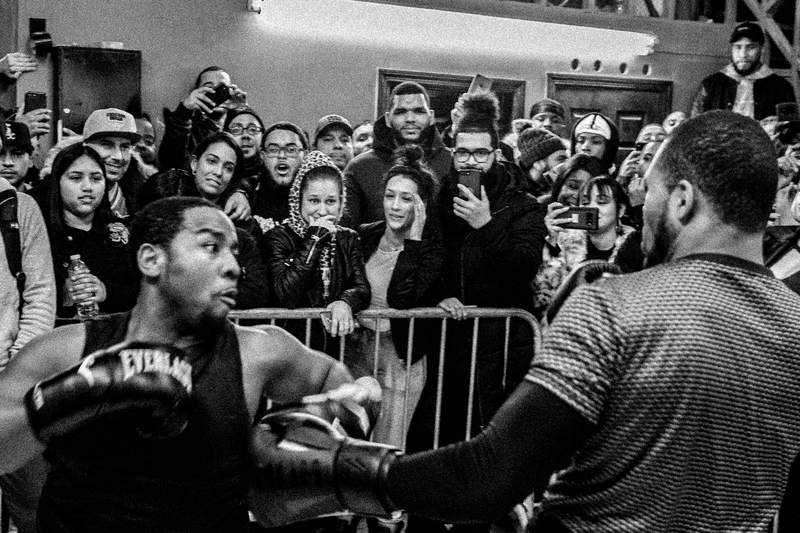 The crowd watches the match between TyTy (left) and Andre. Loso officially wins the match after Desmond could not continue. 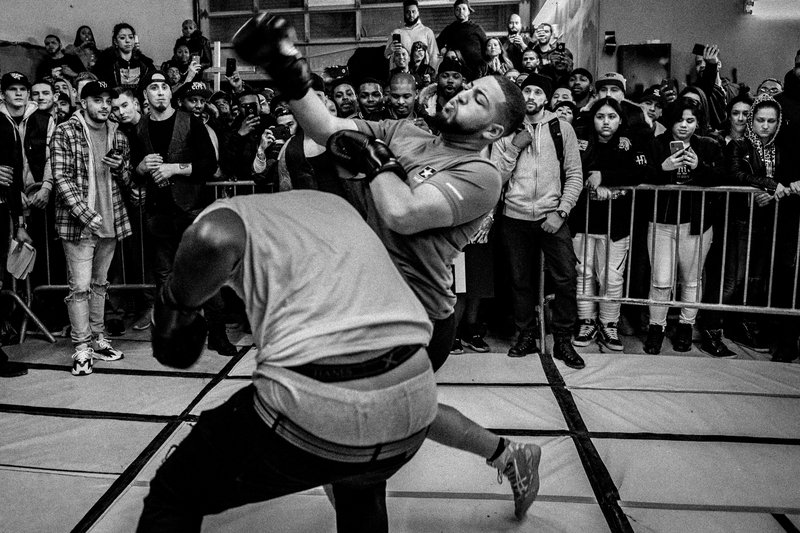 Loso was 0-3 at the Rumble in the Bronx until this win over Desmond.